Einstein is waving Lady Nicotine. "He was the first who tried to prove experimentally the effect of high potencies through animal experiments, using guinea pigs and fruitflies. "When Abrams reported his findings concerning body reactions and their evaluation, Stearns became immensely interested in this field. He recognised that such reactions could have nothing to do with electronics, but must be reflex-reactions transmitted through the autonomic system. The body reflexes aroused his interest. Again, he was the first to introduce tiie scientific development of these new1 conceptions, as expressed by the work of Boyd in Glasgow, into American homoeopathy. He was the first to use Boyd's emanometer in this country '(America). As an outgrowth of all these endeavours, he established the Foundation for Homoeopathic Research for a systematic study of all reactions of the autonomous system toward potencies.
" 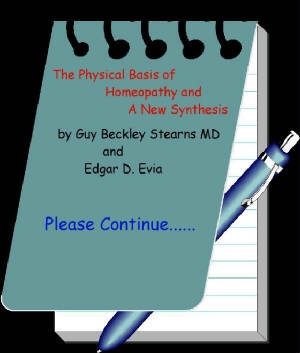 Finally, in a book, A New Synthesis, written together with-Edgar D. Evia, he gave a summary of his medical, biological, and philosophical conceptions. It contains a great number of most interesting facts and a comprehensive philosophy of important aspects of homoeopathy and general biology-point­ing far into the future. " A New Synthesis appeared serially in The Journal of the American Institute of Homeopatfiy from March to June, 1942, and we are taking the liberty of republishing it, along with The Physical Basis of Homeopathy by the same authors, which appeared in the February 1942 issue of the Journal, as it is of permanent interest to the homoeopathic world. For the first time , we are able to rise above Hahnemann's purposely-vague phrase," spirit-like ".We are beginning to graduate from a qualitative to a quantitative study. And the potency problem, no longer an abstraction, enters the domain of physics. It is now time to devote our consideration to the biological aspects of potent activity. This ground will be covered in a second essay. The physical and biological commentaries should,however, not be separated in the mind. They belong together. "...the earth, even developed what would have been thought impossible by one observing the initial universal state of density and heat : Life. Somehow, life appeared on earth. It is there yet. And as this life looks out toward the heavens, it per­ceives that the universe is still flying apart as the result of that original explosion billions of years ago. All that exists today possesses its present characteristics because of the structure of the universe, and this structure in turn goes back to, forces and potentialities that were imprisoned with­in the hot, dense substance before the explosion. Even the life which peers out and speculates on its past and its future lay dormant in the primeval stuff.
" Everything is determined, the beginning as well as the end, by forces over which we have no control. It is determined for insects as well as for the stars. Human beings, vegetables, or cosmic dust, we all dance to a mysterious tune, intoned in the distance by an invisible piper." 1. The Birth of the Universe. Once, the universe occupied but a fraction of its pre­sent volume. Since its substance was inconceivably conden­sed, the temperature was higher than anything possible to­day even at the hearts of stars (for temperature and den­sity in these cases vary together). There were no stars. The universal stuff spread out uniform and undifferentiated. Whatever its unknown activities , it held potentially all that has since developed from it. the earth, even developed what would have been thought impossible by one observing the initial universal state of density and heat : Life. Somehow, life appear on earth. It is there yet. And as this life locks out toward the heaven, it per­ceives that the universe is still flying apart as the result of that original explosion billions of years ago. All that exists today possesses its present characteristics because of the structure of the universe and this structure in turn goes back to forces and potentialities that were imprisoned within the hot, dense substance before the explosion. Even the life which peers out and speculates on its past and its future lay dormant in the primeval stuff . One thing is certain life is no mere incident in geo­logical history. The early atmosphere, for instance, had quite a different constitution from today's. It had no free oxygen, only the oxygen which had combined chemically with the minerals of the earth's surface. It probably had little free nitrogen. 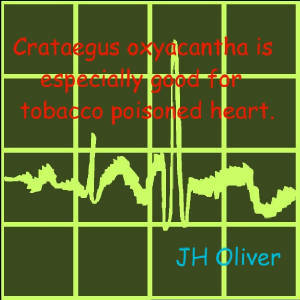 But it abounded in carbon monoxide and held also some prussic acid — two deadly poisons. The seas of the times readily absorbed these two poisonous substances. Yet it is in the sea that life is thought to have originated.2 And it is the early dominance of plant life for hundreds of million of years, breathing in carbon and exhaling oxygen, that gave to the atmosphere a carbon-oxygen balance capable of sustaining animal life. The composition of today's air is largely the work of life. Planets like Venus, whose atmosphere is devoid of oxygen but heavy with carbon, probably do not support any but vegetable life, if they support life at all. Such work as this, on a scale to rival the vast construction: of nature, can be no mere incident. the atmosphereGreen things bind the soil, preventing. erosion. Tracts of forest tend to attract clouds and provide natural reservoirs for rain.6 The occurrence of rain deeply affects the weather, which is one of the most important of the agents in the erosion of both rocks1, and soil. Minerals are washed down to the sea by rain, and the mineral com­position of the sea changes over a period of ages. The levelling of mountain ranges by the tireless effort of weather alters the equilibrium of the earth's crust, which actually floats on the denser but plastic substance of the core. This crust seeks a new equilibrium, and the result is the raising of new mountain, ranges, the alteration of continental outlines and the redistribution of the seas. Plants naturally are not a prime agency in these processes, but they have played an important role in helping to deter­mine geological topography. AIthough weather will deter­mine what sort of plant growth is able to survive in any locality, the establishment of that growth helps thereafter to maintain the beneficent climatic conditions and their particular action on Soil and Rock. accumulated generations of living creatures are unbeliev­able power and perseverance. 3. The Birth of Life. of early life was confined to the sea, while the coast stretched desolate, sterile, Aiming with painted rock like today 's Grand Canyon. Then the early life differentiated itself. Part experimented with locomotion, gaining the independence conferred by motion and the ability to search after food in remote places where food was not at hand. In this manner appeared aquatic animals. Henceforth, 1ife developed along two major lines : the vegetable, rooted and motionless, working with chlorophyll to manufacture its living substance out of sunlight, water and carbon ; and the animal line, which invented organs of locomotion and sacrificed, in exchange, the gift of chlorophyll. life more evident than here. The basic chlorophyll mole­cule holds a magnesium atom which controls the oxidation of foodstuffs and the accompanying release of energy. In red blood, this basic chlorophyll molecule reappears with only one change : the magnesium oxidizer is replaced by an iron oxidizer. Some animals, like the horseshoe crab, have invented blue blood, in which copper is the oxidizer instead of iron or magnesium. But the basic molecule of all bloods (green, red, blue), called hematin, is one in structure arid differs only in the metal atom acting as oxi­dizer. Life is not only specific in its adjustments: it is resourceful,, inventive, and can achieve deep changes by what appear to be small physical modifications. And in all probability the first of all bloods, chlorophyll, will also be the last to persist when the world is old and dying. Both plants and animals eventually invaded the dry, barren land. Soon the earth's surface teemed with count­less creatures that had adapted themselves to new conditions. The constant process of adaptation resulted in a steadv in­crease in the complexity of life forms, but the general goal of this complexity was a true economy of function. The same feats could be accomplished more easily, more smooth­ly. We know, looking backwards, how smooth, compara­tively, is the operation of the human body, the pinnacle of past: biological evolution along certain lines. It has lost chlorophyll, still possessed by plants ; it no longer enjoys immortality, which the single-celled creatures still bear ; it suffers spiritual agonies of which other creatures seem to be incapable ; it is weaker than most comparable wild beasts. Yet these sacrifices have been made in order to gain advantages otherwise unattainable. Man thinks, con­structs tools and changes the surface of the earth. He analyzes his position now, the story of past creation and its probabilities in the future. He moralizes. In some way, these achievements represent an economy, and increased efficiency of the energy exchanges involved in life, over the condition of early living creatures. 4. The Adjustments of Life. Evolution was itself assisted by certain specific adjust­ments of living things ; for instance the migrations of various creatures. Everyone is famiiliar with.the arrival of birds in the spring to our northern, countryside, their noisy and joyful life throughout the summer and their departure in the fall when the leaves are turning russet and gold — in some cases, so early in the season, that the coun­try is still warm and green and the food plentiful. These bird flights range from travel between neighbouring coun­ties to the 11,000 mile span, performed twice yearly, of the Arctic Tern, and the 500 mile nonstop journey of the little hummingbird; across the Gulf of Mexico. land by day -- since the eyesight of birds is exceptional -but what about the species that travel by night or across hundreds of miles of ocean ? As remarkable as are bird migrations, the long jour­neys undertaken, by eels to their breeding places are in some respects even more astonishing since there can be no phy­sical milestones, no familiar topography in the depths of the sea by which these creatures are guided. Yet the voya­ge of the eels is unerring along a route established through ages of repetition. For long, nothing was known about the breeding habits of eels ; only fully developed eels could be seen in the rivers of Europe and America. Where did they spawn ? What was the location of the newborn creature ? Why were spawning grounds never discovered even in the waters where the developed eel was most abundant ? At length the weird truth was discovered. turtles, lemmings, certain insects, and salmon and shad, and eared seals. In addition to this type of orientation, which regu­lates the food, the periods of the sexual life, and adjust­ments to climatic changes, there exist many other types, through which animals are guided., The cat, dog and horse are frequently able to find their way back home from great distances over paths they have never taken before. A bee transported, half a mile from its hive in a covered box will, upon its release, regain its hive — it must find its own hive as it would be torn to pieces by the infuriated bees of a strange colony. Man himself is occasionally gifted with a " sense of direction " to guide him where the ordinary fellow would be lost, and it is interesting that this gift occurs most commonly amongst people in intimate contact with nature, like the American Indians. community disintegrates. Some species of termites orient their structures with respect to the compass points, recalling the mysterious insect, the telephore, which always faces west during the mating season. It is extraordinary that the work of the termitary is undertaken by utterly blind termites—they have no visual organs — whose instructions are issued by a queen possessed of sight but unable to make use of it from her buried, central prison. Yet in some fashion these insects are perfectly oriented to their environment and can meet the problems arising from it. Beebe describes the extraordinary instinctive behaviour of the turtles on a lone Pacific island hundreds of miles from any other land, with a small beach on one side and the rest of the island mountainous. He went to the beach one evening, when the turtles were laying their eggs. With lighted lantern, he observed one enormous mother turtle during her egg laying session. She appeared to be entirely oblivious to him, as her front part was evidently asleep while, with her hind legs, she scooped out a deep round hole in the sand, each foot alternating with the other in a circular movement that scooped out the sand. At the same time, the walls of the hole were kept from sliding in by moisture sprayed out from inside her — and this moisture, Beebe felt certain, was not urine. In other words, her rear section was busy carrying on a function of great complexity, motivated entirely by instinct, while the other end was oblivious to everything. Beebe points out how remarkable is this behaviour in the light of the fact that no turtle can turn sufficiently to have the slightest idea of what its hind quarters look like ; yet, with its rear flip­pers, it scoops out a perfect circular hole. And, the hole filled, the mother wandered away into the sea and the first waves of the rising tide washed the sand smooth. Another turtle had a large piece missing from one of its dig­ging flippers ; the other flipper filed in the breach by doing more than its half of the work ; so that the finished hole was as smooth and circular as those of the other turtles. have developed some 10,000 000 insect species or whether it be the extrasensory faculties amongst men, we knew little about the facts except that they occur and are difficult to fit into a strictly mechanistic description of creation. They do show, however, that living behaviour is not haphazard. Having developed out of the earth, life nevertheless remains a part of it. We are struck by the essential oneness of geologic and biologic development, a harmony between the two which enables living creatures to keep in touch with the inorganic world that supports them. Similarly the earth is united with the larger uni­verse in which it hangs. The whole betrays the purpose-fulness of a single organism and vice versa. Iife is peculiarly tailored to its environment. Living creatures over the earth like a well-fitted garment, not like a drape thrown carelessly about it. Again and again life is related to the inanimate earth by a host of instincts and unconscious awarenesses. Here is a profound mystery of nature which we must strive to clarify. Although these biological awarenesses to environment manifest variously, they represent an integrated activity of all life : the apparent multiplicity results from the many conditions to which life must adapt itself. If we examine one of these awarenesses we are soon struck by the unity underlying them all. general hard to assess by direct comparison with facts, whereas a good dowser could always be vindicated by dig­ging and unearthing water .Yet the efforts of the best dowsers were not sufficient to offset the discredit smeared on the art by charlatans. For centuries men inquired seriously : What makes the divining rod act ? With the advent of science the ques­tion was reformulated : Is there anything at all in dow­sing, or does the whole thing rise out of the psyche of the dowser, with no more than a chance relation to reality ? Recently two British scientists, J. C. Maby and T. B. Franklin, have finally solved the problem. They have established the scientific foundation of dowsing,13 just as Newton laid the foundation of optics and gravitation, Dalton of the atomic theory, Darwin of evolution, Min­kowski and Einstein of what has become the new non-Euclidean concepts of space and time, J. B. Rhine of tele­pathy, clairvoyance and other extrasensory faculties ; and so on. But the importance of this study of dowsing is enhanced by its relation to other phenomena, thus far not integrated, upon which it throws extraordinary light. Hence, it is necessary to examine the conclusions of these two Britishers, one a physiologist and the other a mathe­matical physicist. of expert dowsers, the results were extraordinarily accurate and far exceeding any conceivable chance figure. It was also possible in these investigations to go over the dowser's ground with special mechanical detectors sensitive to the rays responsible for the dowsing effect, and the. dowser's results were amply confirmed. A great many variables entered into the work : time of day, orientation of dowser with respect to the underground object, whether, physio­logical state of the dowser himself. However, in general the reality of the dowsing effect was proved. Second, Maby and Franklin found that subterranean water, as well as other objects like! clay beds, actually gave off radiation possessing a characteristic field pattern.17 To this held the divining rod reacted. By prolonged work with dowsers and mechanical (electrical) devices, the field patterns were determined for horizontal, and vertical ex­tension. Thus it appeared that an object of limited length with respect to width gave off radiation that surrounded it concentrically like standing waves, and the dowser ap­proaching the object passed through alternate areas of effect and no-effect (positive and negative phases). Elon­gated objects such as streams or underground pipelines were followed on each side by similar alternating bands of standing waves running parallel to the length. Other field characteristics were discovered which need not be mentioned here, excepting one : Under certain conditions the alternating positive and negative bands reversed with respect to each other, the positive becoming negative, and vice versa. A change in the dowser's orientation also pro­duced this shift, which is described as a polar reversal. Thus the basic contention of dowsers was scientifically substantiated : That the presence of an invisible, under­ground object could be detected by the reactions of a divi­ning rod held in the hand. But exactly how did the reaction occur ? but their credit is in irrefutably proving this to be the cor­rect explanation. Briefly : A dowser holding the rod before him brings into play certain muscles whose tension depends on the position of the grasp and on the amount of strength employed in maintaining the separation of the arms of a forked rod. This muscle tension is kept uni­form by the dowser as he prospects across a field. The nature of the radiation involved in dowsing is such that it lessens muscle tonus as at least one of its physiological effects. Hence, when the dowser enters the radiation field, his muscle tonus is lowered-i.e., his muscular strength is actually weakened. His attempt to maintain the position of his arms and the rod causes him to exert more strength and results in the apparent slipping and swaying of the rod. And as his physiological response to the dowsing radiation and his efforts at adjustment are entirely subconscious, he erroneously attributes the gyrations to the rod itself, not realizing that all the rod does is make visible his own physiological reaction. This was amply proved by the numerous tests in which the rod was carried by mechanical means over the positive dowsing areas, but with negative results : whereas the same rod held by a good dowser invariably dipped to indicate the reaction. or Hertzian rays emitted under the primary stimulation of cosmic rays, and that the whole subject of dowsing radiation was thus extended from its natural occurrence in the countryside, into the city, where man, building his civilisation of metals, has placed innumerable potential sources of'dowsing radiation. Since the dowsing effect is a physiological reflex and since it evidently takes place whether a person is aware of it or not (like the circulation of the blood, digestion, endocrine secretion and other profound bodily functions), the question naturally arises : What is the effect on health of dowsing rays, which may exist in innumerable localities, in town or country, wherever there are subterranean watercourses, metal veins and objects, etc. ? Can any correlation be made between the incidence of illness and such localities ? * Sir Wm. Bragg has shown that metals exposed to X-radiation of mixed fr quencies emit secondary radiation of a frequency characteristic for each metal; and the basis of X-rays is the ability of metals to emit secondarily under the impact of a swift electronic stream. These fami­liar instances are merely adduced to substantiate the theoretical explana­tion of dowsing rays. persons sleep badly over streams or mineral veins, and that even the metal springs or frames of a bed may give rise to radiation fields which disturb the sleeper and, in some cases, over prolonged exposures, make him ill (since he is close enough to the source to feel not only the long range Hertzian rays but also the corpuscular rays). In Germany; experiments conducted with mice showed that the incidence of cancer was greatly increased when the animals were exposed either to natural dowsing fields or to fields artificially produced by a Hertzian oscillator. The phenomena of dowsing emerge as a marvellous instance of the biological adjustments already pointed out. It is also possible that whereas man with his conscious, reasoning mind is unable to tab the reactions at their source and without circuitous techniques, animals, on the other hand, free from inhibitions, are doubtless more directly guided by reactions of this type. The migration and other extraordinary habits of wild life may have their origin in obscure dynamic stimuli to which the animal is amenable. the various migrations. Larger areas may integrate into still more general dynamic patterns. So that it is sugges­tive to picture an army of migrating wildlife as a vast autonomic organism responding to and following the dyna­mic impulses arising from the earth, much as an airplane feels along the length of a radio beam. This assumption is certainly safer than to suppose birds, for instance, in their farflung flights, able to utilize for orientation the shifting patterns of the earth's magnetic fields, which streams in so many directions over different points of the earth's surface. The fact that birds sometimes fly at great altitudes would not remove them from the influence of rays of the dowsing class which Maby and Franklin have shown to extend upwards with no apparent decrease in in­tensity. And we have seen how wide-spread are the source capable of stimulating these biological reactions. 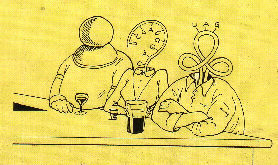 This is the picture drawn — and established as an unsuspected reality — by Maby and Franklin. Their work is a classic. It ties together many fields hitherto uncoordinated as will be shown below. 6. The Work of Abrams. briefer—struggle than the evolution of dowsing to its present accepted status. The bestknown medical exponent was, of course, Albert Abrams, who devised the "magic box " of still notorious odor. Nevertheless, much has happened since Abrams' experiments (which began, around the outbreak of World War I ) to show that, despite his mistakes and what seemed like uncontrollable commercialism, he had stumbled on profoundly significant biological and physical phenomena. What Abrams labored to prove was that the living human body could be utilized as the detector for certain radiations emitted by biological material as well by in­organic substances. The biological radiations of human beings tended to conform to certain patterns during health. Disease at once changed these patterns and it was by observing these departures from normal that Abrams developed a system of diagnosis independent of the usual pathological findings. Abrams maintained that specific energies were emitted by different diseases, and that the pre­sence of the abnormal energy could be detected long before the appearance of tissue pathology or even dysfunction. He maintained also that the correction of theses energy derangements removed the cause of disease, and that sec­ondary effects such as pathology, infective agents ,etc would then disappear, since they could only thrive where the soil was propitious for them — i.e., in tissue suffering from dynamic disturbances.21 Unfortunately, Abrams pushed his claims beyond the point where his technique was able to support them. The investigation of the AMA, undertaken by The\ Scientific American, failed to obtain re­liable and consistent evidence from the Abrams proponents. The work was branded as fraudulent and has had to struggle ever since against this stigma. Actually, Abrams was right in many of his observa­tions, as Maby and Franklin justly concede ;22 but many of his interpretations of fact betray a runaway imagination and a loose application of the physical principles then known. rod. But whereas the dowser utilizes a generalized reflex which he chooses to exteriorize by means of the hands,— a convenient and controllable method,—Abrams' subject demonstrated a selective, localized reflex that could be manifested only by a specific technique. When the subject was connected (at the forehead) to different kinds of diseased tissue (i.e., to patients suffering from different diseases) certain patches of the abdomen became "dull" under percussion as against the normal more resonant, ab­dominal note. Each of these dull areas corresponded to a specific diseased state. Abrams soon found that a tuner could be interposed between the patient and the subject, giving sharper areas and only one area at a time, provided of course the tuner was of the variable type which could be adjusted to resonate to the periods of the ehfferent ener­gies. As the subject was connected to the apparatus at the forehead and stood on earthed metallic plates, he was, in effect, placed in an energy current which in its passage to earth elicited the various selective abdominal reflexes ; much like the response of the dowser, with his generalized reflex, to the field of dowsing rays. So that if we accept dowsing phenomena as factual there is nothing intrinsi­cally anomalous in the situation of Abrams' subject. effect of even a short length of straight wire. Moreover, the resistance characteristics which he stated so simply differ for high frequences from the resistance characteristics of low frequencies or direct currents, which tend to flow through the whole cross section of the conductor, whereas high frequencies pass only alongs the surface; ("skin effect"). And the frequencies of Abrams' disease radiations are so high th:at the inductive effect of his resistance coils ( notwithstanding their "noninductive winding ) becomes the cardinal tuning factor of the circuit, combined with the capacity effect of the various circuit elements. Indeed,as was shown by Colson,23 the resistance of the| Abrams coils seriously interferes with the weak energy currents, and the same inductive-capacity value obtained with coils in which the resistance is deliberatel kept to a minimum at once sharpen the reactions by increasing the amount of energy flowing in the circuit, make whole setup more selective, and remove other fallacies, inherent in the original Abrams device—the derisively called " magic box." It is no wonder that consistent results could not be obtained before serious investigators of the tech­nique. The wonder is that despite his crudities of technique , Abrams was able to discover so much that was funda­mental and that has since been confirmed in other ways. It is fair to mention at this point that perhaps the earliest scientific observation of the abdominal reflex was made by Dr. George Starr White near the end of the last century.24 It is doubtless from White that Abrams obtain- ed the clues leading to the discovery of disease energies and their detection by means of an instrumental tuner in conjunction with a subject; but Abrams was not always unequivocal in stating his indebtedness to White. subject faced north or south from the note in the east or west positions — corresponding to White's observations on the aura. This appears to have been a basic phenomenon. It has been corroborated by many individuals in different ways. For instance, Maby and Franklin (see last section) show that the kind of dowsing effect, and the field pattern of dowsing rays, depend upon the orientation of the operator to the source of the rays and on the orientation of the latter to the magnetic flux of the earth. Moreover, Abrams20 found that his subject, who was grounded, must always face west for best elicitation of the abdominal reflexes under percussion, and for this observation he was indebt­ed to White's discovery concerning the change in note pro­duce by orientation. The same conclusion as Abrams was reached somewhat later by a very much more scienti­fic investigator, Wm. E. Boyd of Glasgow (to whose work reference will shortly be made). When we remember that all animal migrations—and they are widespread — de­pend on some unknown faculty of orientation, it does not seem difficult to accept the orientation phenomenon of White. *There is no reason why a reflex change in the tissues of the abdominal wall, showing under percussion as a change in note, should not occur as readily as the weakening of nuscle tonus in a strong dowsing field. The full..
importance of White's disovery will become more appa­rent later in this essay. Another of White's contributions is the discover y that colored light excites the abdominal reflex. Specifically, he found that patients with profound toxemias did not give the orientation reflex. However, if they were exposed to various colored lights, a color could be found which res­tored the reflex so long as the patient remained under exposure to it. As the occurrence of the orientation re­flex was a constant phenomenon in health but disappeared during disease, he reasoned that the light restoring the reflex must have some sort of curative relation to the patient. In this he claims to have been correct, for he has evolved a color therapy in which the reflex-restoration is the indicator of the color with which to irradiate the patient therapeutically. When the patient is cured, he once again spontaneously gives the orientation reflex. These original and, it must be confessed, astute observations were taken up with modification by Abrams, who insisted that certain disease energies, tuned in and recorded by his ins­trument in conjunction with a "subject," could be enhan­ced or dissipated by certain colors. But Abram use of color was in a different direction from White's, as was in­deed natural,considering the difference in technique. White also appears to have been the first to conduct along a wire body energy of the type Abrams made first famous and then notorious. But White was content merely to show that the energy was capable of conduction, even over long distances, along a length of wet cord or aluminum wire : he does not seem to have appre­ciated the existence of energy of varying frequency charcteristics capable of analysis into its components by means of a tuned circuit. The conception of tuning and the elabo­ration of diagnosis based wholly on such instrumental sit­tings belong to Abrams. They remain an amazing dis­covery, despite the errors and the eventual vilification poured on the man. external stimuli like dowsing rays , certain directional magnetic field of the earth, and perhaps other influences, but they can react specifically to some sort of biological energy associated with ill health. In fact, according to both White and Abrarms and verified by ourselves, the abdominal reflex on percussion is also elicited by the presence of nearby persons. This means that every individual is constantly experiencing unconscious activities of his physiology against the environment. The concept of biological organism as a hermetically contained unit, giving out what it does not need and taking in to meet its requirements, must be altered. Each organism is instead bathed in at least the physical effects of its milieu, just as a jellyfish, while preserving its integrity as a creature, is permeated by the currents of seawater,with which, in a sense, it is continuous. And since all objects give off radiation with a potential biological effect, radiation which in the case of dowsing rays, for in tance, is able to penetrate great distances, the whole problem of migration and other biological orientations becomes clearer. These radiations are like signposts, directions scattered over the earth. And living; creatures are guided by them, not consciously, but by the operation of hidden physiological activities. 7. Boyd and the Dynamis. the whole movement in America. circuit was refined and elaborated, becoming an instrument of precision called the Emanometer. * Due credit is given both Boyd and Abrams by these authors, who seem to recognize the close relationship of these various phenomena. t Detuning of the circuit a result of capacity effects resulting from changes in the distance between the airgap plates was elmiuated by a special arrangement of the gap elements. small value ; and a special switching arrangement permitted these two arms to be connected in parallel after each had been separately tuned, giving a marked increase in selecti­vity. The inductance was calibrated in millimeters of coil length, the condenser scales covered 180 degrees, each degree being further subdivided into 60 minutes by means of a micrometer dial. It can be appreciated how discri­minating was the arrangement. This part of the circuit offered one means of tuning the energies. Thence a lead connected to the forehead of the subject, who was the third and last circuit component. He functioned as detector, through the occurrence of the abdominal reflexes under percussion, and in addition as a vernier tuner to the ins­trumental circuit by virtue of the fact that different ener­gies produced entirely distinct areas of abdominal dullness, thus confirming, in general, Abrams' findings in this res­pect. The standard of detection was thus the reading of the inductance and capacity values plus the location of the dull areas on the subject. The importance of the subject as auxiliary tuner can be estimated from the fact that the identical Emanometer setting will sometimes permit seve­ral areas — representing distinct energy components — to record on the abdomen ; without the subject they could scarcely be differentiated. A further refinement of the Emanometer was the shielding which Boyd early found to be necessary for ex­cluding irrelevant and interfering factors. In its final form, the shielding surrounded each circuit section — air-gap, tuner, and lead, from tuner to subject — and the sub­ject himself stood in a case of closely woven phosphor bronze mesh. All shielding was carefully earthed, as was the subject through standing on he metallic floor of his cage. Boyd found it necessary to sterilize the instrument with dry heat before use, to prepare sterile vials for the drugs and never to handle then except with sterile forceps, and to collect the specimens on sterile blotters of standardized absorption. These precautions, while increasing the diffi­culties of technique, greatly added to the accuracy. The general technical procedure was this : At the circuit input Boyd placed a specimen of blood ; at the out­put he connected a health individual who stood on ground­ed metallic plates — the "subject." Then he proceeded to observe the occurrence of the dull abdominal areas elicited on percussion. He found that when the subject faced west, his abdomen became uniformly resonant to per­cussion, and that the dull areas could be easy defined by contrast. Some of his areas agreed with Abrams'; but as Boyd's tuner was much more selective, the number of areas increased greatly over those originally discovered by Abrams. There were interesting relationship, between certain areas and clinical states. However, Boyd' s method never claimed to be diagnostic of disease, as did Abrams', but merely gave a picture of the dynamic state of the patient without necessary reference to orthodox termino­logy. Nevertheless, Boyd discovered that certain energies usually appeared in case of inflammation ; others were associated with infection ; others with proliferation ; some with respiratory condition ; digestive, nervous, genitouri­nary and other disturbances of organ-systems. There was enough clinical correspondence to give him a general pic­ture of the patient's condition from the type of energy detected in the patient's blood.